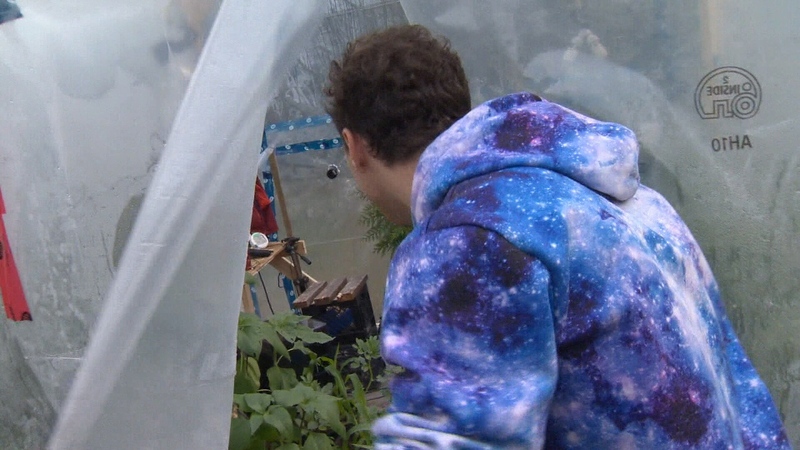 Kurtis Baute is getting ready to seal himself inside a 10 by 10 greenhouse in the name of science. A YouTuber who refers to himself as a "whimsical scientist," Baute is no stranger to unusual experiments. 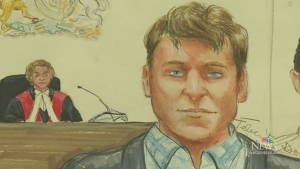 This one, set to begin at midnight Wednesday in the Comox Valley, came about when Baute was studying plants sealed inside a jar for two years. "In that entire time I've kind of been wondering what would happen if you tried to make a jar big enough, just big enough that a human could live in it," said Baute. "And what would that look like? 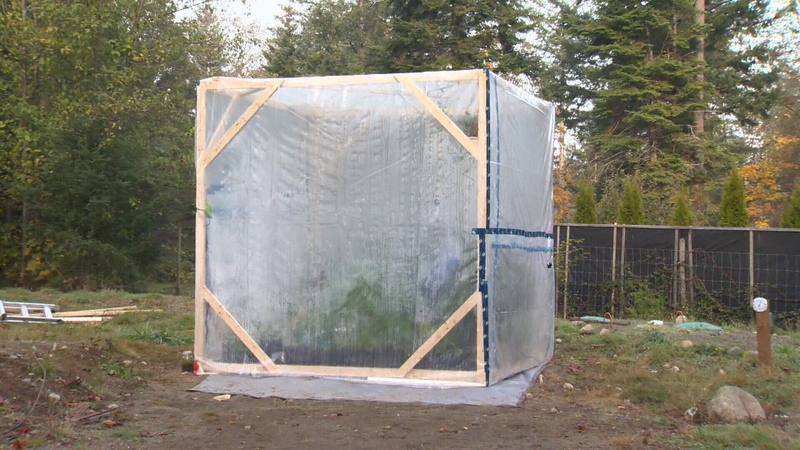 That idea developed into the greenhose cube, which Baute has built on a Comox Valley property. He plans to seal himself inside the airtight structure for three days with dozens of plants, which he'll be counting on to generate oxygen to keep him alive. "I plan to breathe as calmly as possible, because every breath I take will be affecting the environment," he said. "So I'm going to just try to stay very calm about the fact that my breathing will impact the air." Baute says he's trying to spread the message about climate change in a way that's engaging. "But not disturbing," he adds. He says experiments like this have been attempted before, like the massive Biosphere 2 project in Arizona. Billed as the world's largest closed ecological system, volunteers pledged to live in the dome for two full years, but the project ultimately failed and shut down early. The experiment even inspired a 1996 parody film, Bio-Dome, starring Pauly Shore and Stephen Baldwin. Baute says he doesn't expect a similar result because he has precautions in place to monitor oxygen levels. Family, friends and a paramedic will also check in on him. "The two things we're concerned about are the oxygen levels in the box and the carbon dioxide levels in the box," said paramedic Mark Van Eijk. 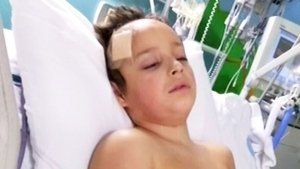 The public will be able track Baute's progress during his planned three days of experimentation by following his YouTube and Twitter channels. "I'll be monitoring the air, I'll be checking on the plants, I'll be making videos and I'll be tweeting about the whole experience as I go," he said. As for potential boredom, Baute says he'll have just enough space for a chair, hammock and enough room to pace. "But I'm going to try to be pretty sedentary because every breath takes me one step closer to danger," he said with a laugh.